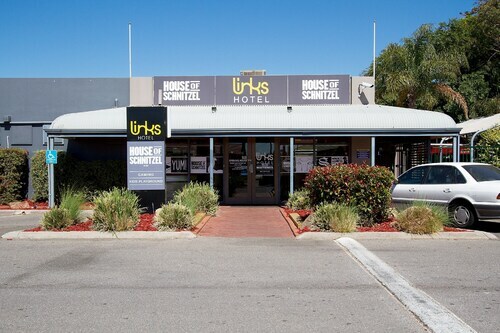 Situated in the suburbs, this hotel is 1.8 mi (2.9 km) from Henley Beach and 1.8 mi (2.9 km) from Grange Beach. Queen Elizabeth Hospital and Henley Square are also within 3 mi (5 km). Adelaide Seaton Park Station is 18 minutes by foot and Adelaide East Grange Station is 24 minutes. Heading to South Australia and the capital, Adelaide? Save time to visit the district of Seaton, situated 8 kilometres west of the central business district. 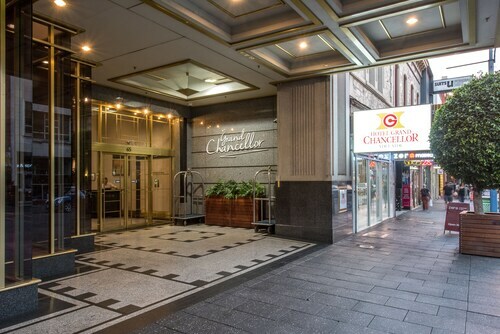 Visitors that are looking for a jam-packed experience in Adelaide will be excited to hear about its many sights, like the Victoria Square, Government House and Rundle Mall. Aim for a birdie and stay well away from the rough when you tee off at Royal Adelaide Golf Course. Would you like to stay not far from this place? Try The Lakes Resort Hotel and Findon Hotel. Score a hole-in-one as you stay well away from the water at Grange Golf Course. Try the Links Hotel and Hendon Hotel to be near this site. The Cooks Pantry is the ideal shelter on a miserable day in Seaton. Curl up with a magazine or just while away the afternoon with some friends over coffee and cake. Links Hotel is a highly recommended option for dinner. With all the delicious dishes on the menu, you may need to give yourself some time for a return visit. Can't find the right Seaton hotel deal? It is worth checking out the hotel options in the Ethelton hotels guide and the Wotif Mansfield Park hotels guide. Some people spend their whole lives dreaming of travelling. Don't let this happen. From flights to activities, Wotif will make your dreams into lifelong memories. How Much is a Hotel Room in Seaton? Hotels in Seaton start at AU$75 per night. Prices and availability subject to change. Additional terms may apply.